Ann Elizabeth Williams Barron, age 90, went to be with the Lord on Thursday, July 5, 2018. Ann was born in Bedford County, TN, to the late John O. and Oma Reed Williams on May 12, 1928. 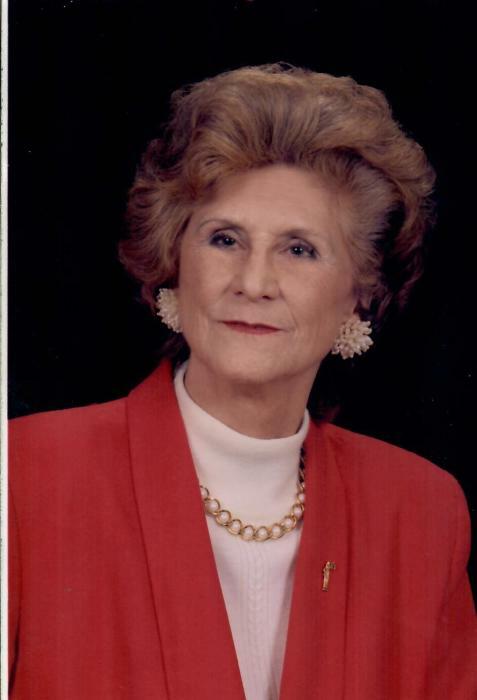 She was a charter member of East Commerce Baptist Church, involved in church outreach, was a previous Sunday School teacher, a choir member for over 40 years, and loved her flowers and gardening. Ms. Barron was preceded in death by her parents; her husband William Guy (Billy) Barron; and two brothers, John O. Williams, and Gary Williams. She is survived by her daughter Judy Barron, Lewisburg, TN; son David (Ruth) Barron, Nashville, TN; brother Wyndell (Belle) Williams, Goodlettsville, TN; two sisters, Nancy (Ronald) Aldridge, Lewisburg, TN, and Juanita (Will) Grandstaff, Lebanon, TN; two grandchildren, Dylan Barron and Kendall Barron; and a family friend, Joe Crabtree. Visitation with the family will be held on Saturday, July 7, 2018, from 4:00pm until 7:00pm in the Chapel of Bills-McGaugh & Hamilton Funeral Home and again on Sunday, July 8, 2018 from 2:00pm until 4:00pm. The funeral service will begin immediately following the visitation on Sunday at the same location. James Hickey and Cliff Vines, pastor of East Commerce Baptist Church, will be officiating, and burial will be in Head Springs Cemetery in Belfast, TN. Pallbearers will be John Williams, Chris Cox, Tom Cox, Jason Donahue, Ryan Perryman, Steve McPherson, David Lee Williams, and Wyndell Williams, Jr.